I'm happy to share that openBoM integrated cloud app is available on the App Store. Thank you and look forward for your feedback, questions and comments. 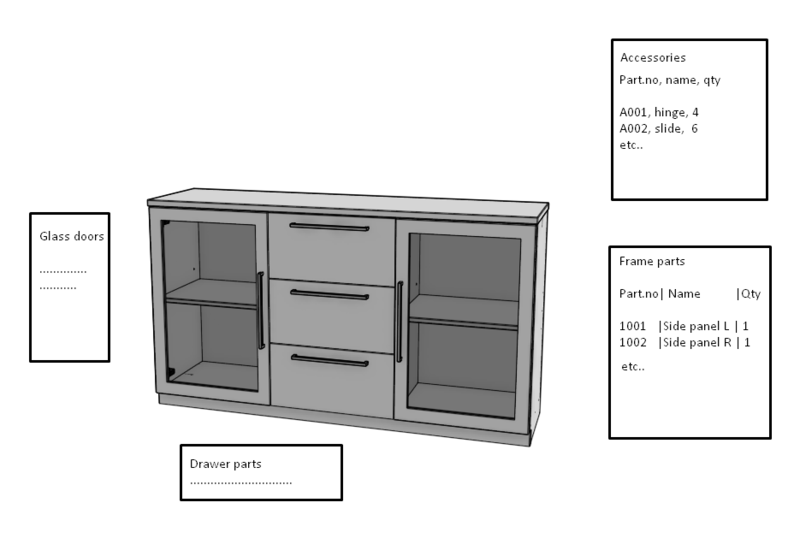 Consept seems nice, but as I design for manufacture I really need part dimension into BOM. Then you can go straight to production site and begin working..
@3dcad Thanks for your comment! You can put any property in openBoM. In your example you can put X, Y, Z. If you design side panel left and right as two separate Onshape parts, you will have them in the BOM separately in the current release. I guess MDF is material. openBOM is extracting material information if you put it in Onshape. is it something that can help you now? For the next releases, there are more things planned - instance BOM option (split by instances), name BOM option (combine by names). It is two orthogonal options from Onshape Id based option we have now. With regards to dimensions (X, Y, Z)... I'm not sure this is the information we can out in a simple way today. If you can help us to understand what do you expect here, it will be very helpful! @coleman I agree, BOM needs to be built-in always up-to-date part of Onshape. openBoM is build-in. I actually have a question about "always-up-to-date". In our first release we have to buttons that can transfer updates from Onshape to openBoM and vice versa. There is not technological limitation to make it "transparent". However, I'm afraid, it might be confusing users that can change the same value simultaneously in both places. btw, I'm up to the challenge you posted - to bring dimensions to the BOM. Not sure how to do it, but we are brining dimensions to openBoM from Solidworks, Inventor and other CAD systems. So, why not ? About updating part data automatically, I think you could have a setting for automatic update so we can choose how to play with BOMs. I would set it on and probably always use bom to edit descriptions etc. (I'm way too lazy/busy to write descriptions while modeling, it's kind of polishing for me if model goes into production). And I'm big fan of spreadsheet type data handling rather than opening dozens of dialog boxes just to copy same data to each (I saw in video you have brilliant solution for this). About dimensions, in Alibre we had name for each dimension value (=parameter). Then I could add parameter name into bom column and it fetched value for each part that had parameter of this name. Easy and simple as I always used names X, Y, Z for basic dimensions so I could save BOM template and I had X, Y, Z columns ready in place. But big difference is that parameter list was for single part, so it was easy to create parameter/variable X, Y, Z. In Onshape it is great feature that parts can share variables flawlessly so I don't wan't them to force variables to be owned by single part. How can we add variables per part so that you can make column into bom and call values for each part? This is to open discussion on this matter so anyone who has opinion please leave a comment. I think, it is a reasonable to expect automatic update in the way you described. It can still create some parallelism effect in cases when two users will try to update them at the same time, but I'd say this a separate thing to manage. With regards to dimensions - I checked about it yesterday. We need Onshape to provide an API to get geometry out. As for the moment, it is not available, but I'm sure we can discuss it and see when to expect them. I will test your new version as I find some time but can you tell me is it possible to mark certain sub-assembly to act as part in bom? I have several standard parts that I buy assembled (single part) like drawer slide, hinge, etc. but I need to model them in separate parts to get the motion working. I have always needed to manually fix boms since they are shown as multiple separate parts. The easiest way to do it with current openBoM version is to create a BOM without [x] parts only flag. Then you can easy delete obsolete Parts from BOM using openBoM UI (it is like a spreadsheet). Then you can create a version with this "modified" BOM and it will be saved in Onshape Version separately. I can show you how to do it with your assembly if you can share it with me. - Feels pretty slow, I would expect no spinning things to wait when creating text list out of part data. Also description update from bom to model took some time. 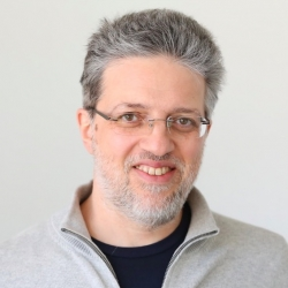 Hi Rami, Thanks for taking time to try openBoM. Appreciate your feedback and wishlist. There is one thing that we have on our list you didn't mention and it is how to support BOM in Onshape drawings. I'd love to have your perspective on that too. [Oleg] this is a limitation for the moment. 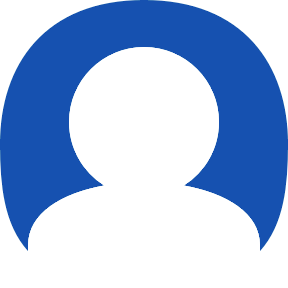 You cannot change names from BOM and update it in Onshape. We are going to fix this problem soon. [Oleg] I'd like to have an opportunity to discuss it. Is it kind of "fantom" in BOM? [Oleg] On our list. We need to figure out how to get an API for dimensions. [Oleg] On our list. We would like to understand the priority of this feature comparing to other stuff. Probably will put it in as soon as we done with "BOM group by same name"
[Oleg] On our list. Probably will go after "BOM group by name" too. [Oleg] This is a great idea. We've been thinking about it too as part of our API publishing. [Oleg] On the list of features. Not sure about September, but it will come later this year for sure. I'm not big fan of drawings - as I don't need 'formal documentary' I use some screenshots and live 3dmodel as much as I can. But I understand that having BOM in drawings is essential for standard designer and before that bom is just data inside the software. But still, I don't think 2D drawings to be the future - it's extra work as you have already done that work defining the 3d model. In my vision, we have advanced always up-to-date 'named views' right inside 3d modeling space and visible dimensions + bom also live there. Thank you for sharing more thoughts and insight. Also thank you for sharing an example of your design. I can see your view on Drawings. I remember first time I've heard "2D drawing is not a future" ~15 years ago. Not much changed since that time. Many companies are still demanding Drawings and claim Drawing support as a very important element of any professional 3D CAD system. [Oleg] This is on the list. Probably, Oct-Nov timeframe. [Oleg] We have export to Excel. Is it good enough? Or you expect something more? [Oleg] I'm actually looking for similar support for Drawings. I hope to get more information into coming weeks (hope), so my team can start thinking about possible implementation. [Oleg] This is really nice idea. It is actually split into 2 things - 1/ grouping by property filter (I've been thinking about it already) and 2/ insert BOM into 3D views or Drawings. As we go with filters, it won't be a big deal. However, interactions will 3D views is still a question for me as I mentioned in the context of Drawings. Thanks again for sharing your suggestions! It is very helpful. The only suggestion I have is the possibility to have the option to export the geometry of solid bodies inside a part environment to the free subscription. I know its part of the paid subscription currently. But that's literally the only thing that's missing from the free subscription in my opinion. I stumbled upon openBOM last night whilst helping a work colleague and a forum somewhere stating its possible to pull information from the solid bodies inside a part into a BOM. The usual way would be to make an assembly, but for something thats simple as in a cabinet or chair frame, its not really worth it. The idea behind this would be to have openBOM automatically generate and populate the material list from geometry inside the part. OpenBOM can generate material list from both assemblies and part studios. 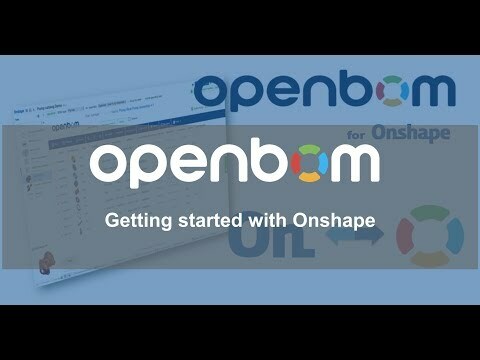 OpenBOM for Onshape is FREE again for all levels. 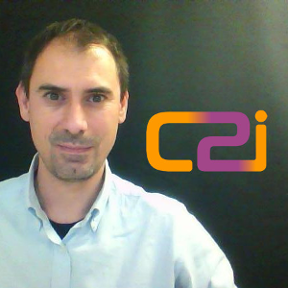 We are working on improvements for multiple document use cases and Release management integration.